Timeline Miniatures 28mm Norman Church ideal for many game systems including Bolt Action. 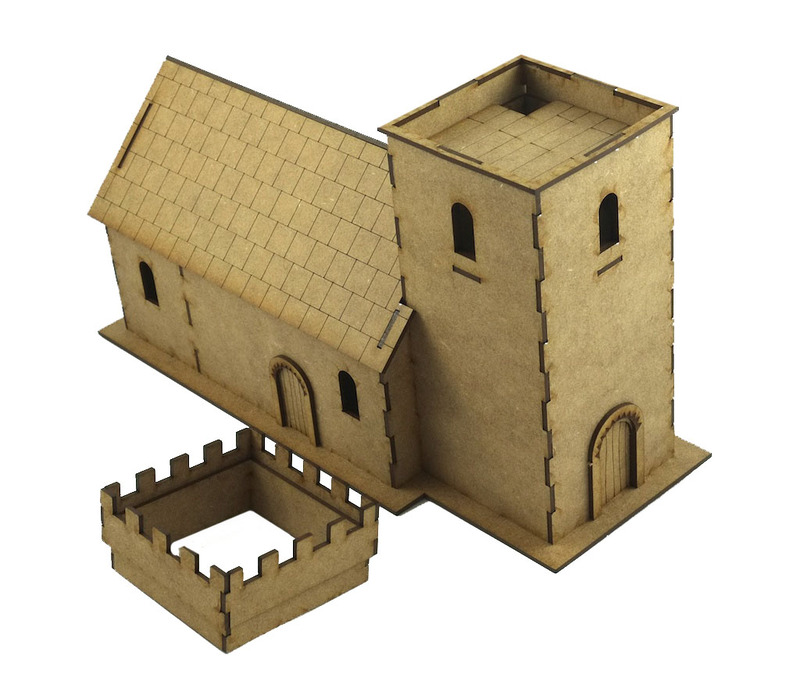 Timeline Miniatures laser cut MDF Norman Church is precision laser cut from 2mm MDF and includes removable roof and engraved door details. The church has a tower with removable crenelations (to represent early Norman Churches), and a removable flat roof for access to the inner tower that has a floor and access to the windows. The main nave roofs are detachable and reveal a chancel arch. The kit represents an early norman 3 cell church but is usefull for a parish church from any period. We have also added some window arch detail to this kit (not in photos). The kit is 250mm x 110mm x 172mm high.